A long time ago, when your great-great-grandma came over from Finland in 1908 at 19 years old, she wasn’t alone. Hidden in her bags were some fairies. See, back where she grew-up, there had been a family of fairies living with her family for generations. The fairies had taken it on as their job to help our family remember how wonderful the world is. When they heard that Elsa was moving to America, they sent a group of young fairies with her. As the years passed and Elsa got married, had kids, the kids had kids, and those kids had kids, the fairies did their best to remind the people of the magic in the world. But soon there were no more kids living at the family farm. They had all moved away, only coming back for short visits. The fairies did their best to keep reminding Elsa’s family of how wonderful the world was. When children came for their visits, they hid pennies and sticks of gum in the wood piles. They brought deer into the fields and hummingbirds to the windows. They planted wild flowers and kept the sauna ready. Soon even the adults stopped living at the farm all the time. They had grown old and the homestead was too far out in the winter. The kids came less and less, and for shorter and shorter visits. The fairies grew sad, but they knew what to do. One time, as one of Elsa’s great-grandkids brought her family to visit, the descendants of Elsa’s fairies decided it was time to move again. They hid out in the family’s bags and traveled with them to their cottage. The fairies were happy again. At their new home they would see children regularly, see Elsa’s family more often, and remind people how wonderful and magically the world is. Now, instead of hiding pennies and gum in the wood piles, they hide little gifts among the rocks. They continue to bring deer into view, but to the water’s edge instead of into the fields. They swim with the otters and loons, and play games in the woods. So remember, even when you are a big and are helping your kids find the gifts left by the fairies, the world is a wonderful place. We may not always see the fairies or the monsters, but in God’s world – joy and love are never far away. Cottage Vacation Tip: Discretely pack a collection of small items fo r the fairies to hide for your children. 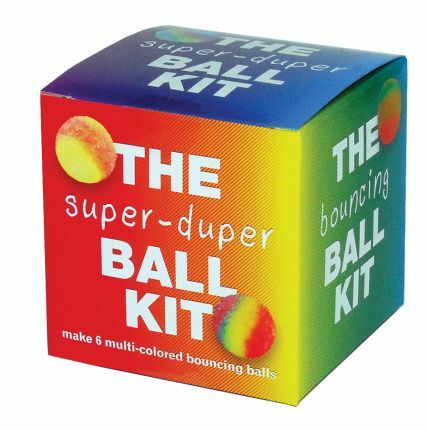 I pick items that will keep the kids busy for at least 5 minutes, such as a bouncy ball kit, small Lego sets, jewelry sets, or simple airplane/rocket launchers. The fairies change the location of their gift hiding place each time and hide them at different times during the day, forcing the kids to hunt for the items a for at least a few minutes, and sometimes a few times a day. Also, the fairies do not always come each day – and for some reason seem to know when the kids need a distraction! This entry was posted in Deliberate Living, Parenting and tagged cottage, fairies, family, magic, motherhood, surprise. Bookmark the permalink.